Be sure the rug is CLEAN before it goes into storage. An unclean rug can attract any bugs or other pests. Ewwwww. Also, removing any dirt and grime before storage helps protect the rug’s fibers. 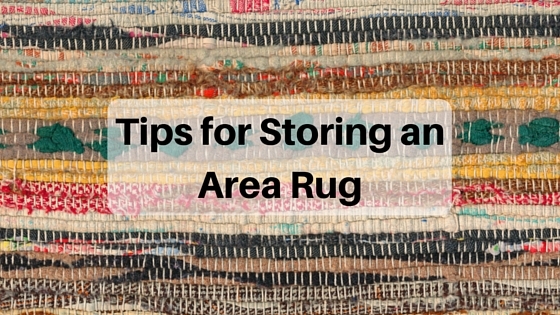 Be CERTAIN the rug is dry before considering storage. So, you’ve got your area rug all cleaned and ready to store away for the summer. Ask yourself, is this rug COMPLETELY dry? Never store a rug that is damp in any way. This will lead to mold, mildew, odor and unwanted trouble. Roll or fold? If you have the room, roll the rug. Folding can cause major stress to the rug fibers. Try to store in a climate controlled storage unit or space. If you follow these five tips, when cooler weather arrives and you’re ready to feel a lovely rug under your feet in the mornings instead of a cold floor, you can feel confident that your area rug will be just as nice as when you stored it away. If you have any questions about cleaning an area rug and getting it ready for proper storage, please contact us at Cincinnati Maintenance.